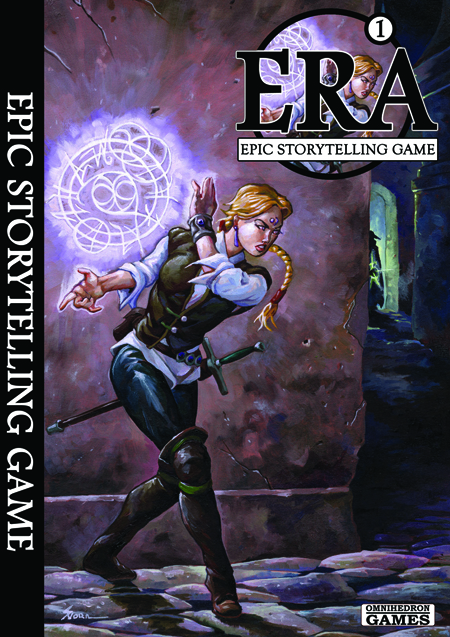 ERA: Epic Storytelling Game is a game designed for quick play one-on-one sessions. Once player, one GM. Each story is woven from a number of different elements mirroring the staples of the genre your adventure is set in – so a fantasy game might have elements such as deadly combat, thrilling chases, dark magic, ancient knowledge and witty seduction. All the characters – Legends – are good at some of these things and bad at others, but fear not as the number of times each element appears in each story is limited; you have to play against your bad sides, as well as your good ones. 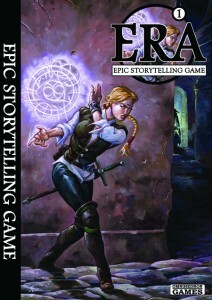 Play time for ERA is around an hour, and the book includes everything you need to get going with a fantasy game including two settings and a slew of scalable monsters, as well as advice on designing your own ERA worlds, skinning monsters and creating new and more challenging paths for your Legends.